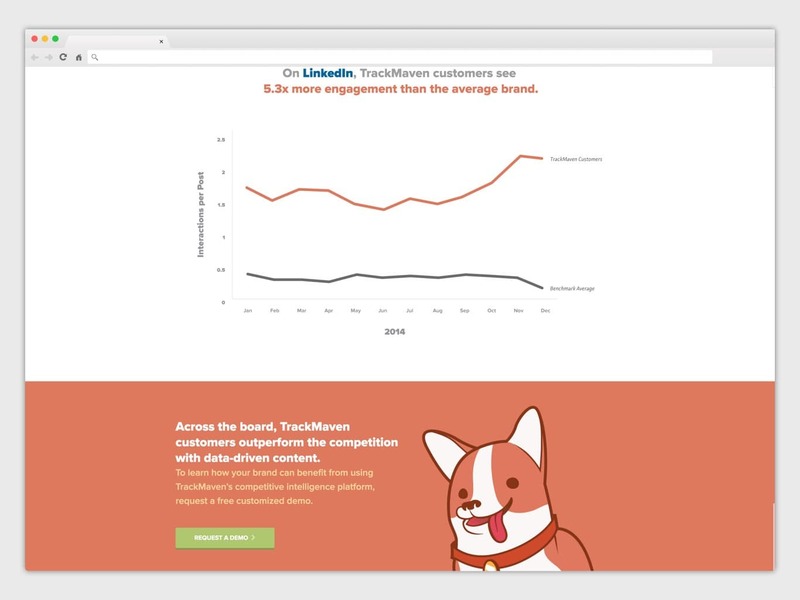 Collection of projects I contributed to the TrackMaven Marketing Site. 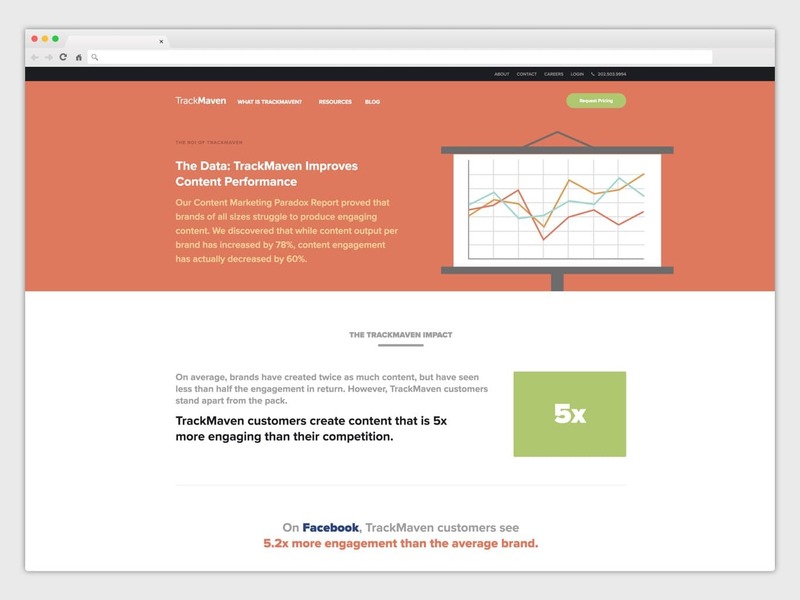 In the Summer of 2015, the ROI of TrackMaven page was added to the marketing site. Working alongside the marketing department, the goal of this page was to show the ROI and benefits of using TrackMaven in a clear, concise landing page. The page was built using HTML and CSS. 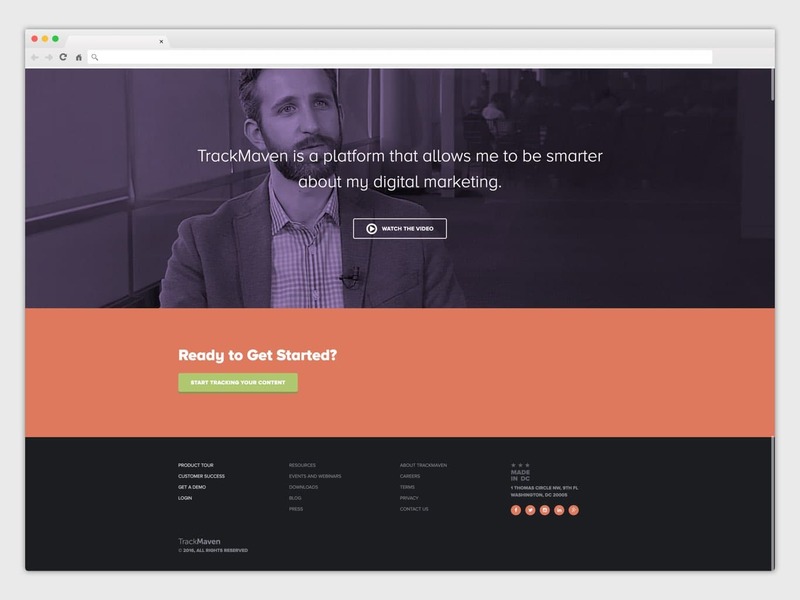 In December 2015, I was responsible for developing the new TrackMaven homepage. 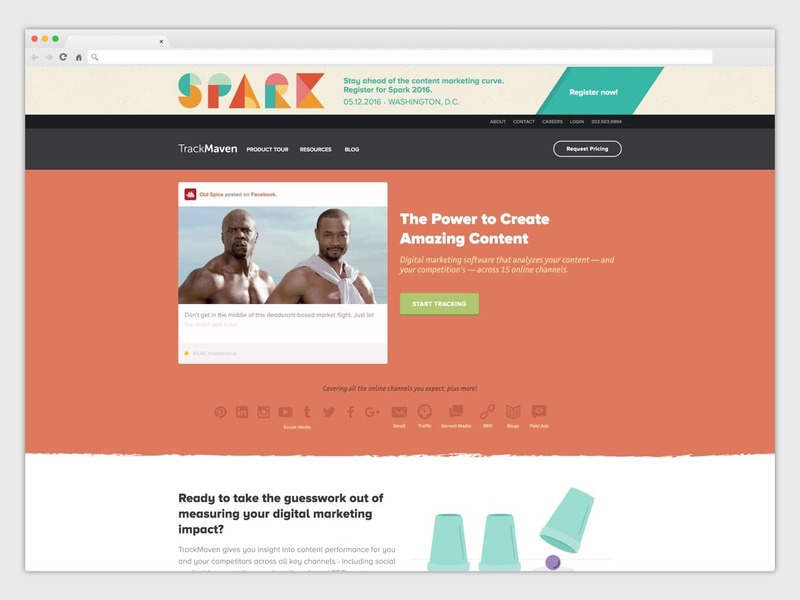 In December 2015, I was tasked with building TrackMaven’s newly redesigned homepage. The redesign was led by Laura McGuigan and the goal of the redesign was to better land potential customers using updated copy across the page that better explained how TrackMaven could be beneficial for their companies. The page was built inside Wordpress, making use of Advanced Custom Fields as well as PHP, CSS, JS, jQuery. A big shout out goes to Wade Hammes, TrackMaven’s Frontend Developer who took me under his wing and showed me the ropes as I got more comfortable with development. With his guidance I was able to improve in the following areas: HTML, CSS3, JS, jQuery, PHP, Wordpress as well as build tools such as Gulp to automate my development process. As of Summer 2017, the TrackMaven website has undergone a complete redesign where these pages no longer existoutside of the screenshots provided on this page.